The grace/mercy/power of God becomes REALLY NEEDED BY US, REALLY AVAILABLE TO US, and REALLY EFFECTIVE IN AND THROUGH US when we no longer have the capacity to have faith, hope, and love in the midst of everyday life. 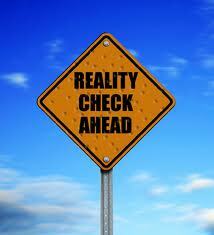 We cannot really believe and trust until at least the possibility to not be able to do so becomes a practical reality. We cannot really hope until despondency is a real possibility. We cannot really love until we encounter the situation in which our capacity to love is no longer available. It is then and there (here and now) that God becomes real and active or not and His faith, hope, and love becomes real and active or not. It is when that question is seemingly the most reasonable thing to say that, along with the raw and desperate ‘yes’ of the disciple that God is shown to not only be truly present but victorious in His perfect will. As long as it is I who believe, hope, and love it is not Christ who believes, hopes, and loves in me and t hrough me. As long as we persevere in reserving something we can attribute to ourselves we will have and enjoy nothing of what belongs to Christ. Among the historical documents of the early Church is “The Letter to Diognetus.” A very good friend of mine challenged me recently to find resources that would help elementary grade students understand “Christianity’s appeal to people at every level of society, from the dispossessed to the wealthy, women, common folk and intellectuals, i.e., how it offered a life of purpose and meaning through relationship with God and one’s fellow man.” As I have been reflecting on and responding to that challenge I have found many “attempts” at this articulation. In many cases they are, in my estimation, watered down and oversimplified depictions of the truly miraculous character of the early Church. The tendency to save young students from the “inconvenient difficulties and complexities” of history has always been disheartening to me. I believe this desire is the fruit of a yet deeper tendency to make things too easy for the student. After all, we won’t want them to “strain their brains.” My conviction is that the “spoon feeding” approach to education is not education. Calling the student up and beyond their limits (stressing them educationally) brings with it the possibility for growth and maturity in critical aspects of their character. This is all part of the way God created us to live and grow. There is a certain necessary stress that produces mature and lasting growth. It applies in most areas of life and the endeavors into which the Lord invites us to be fully present and effective. Now, back to the main point. In my meanderings to find materials to meet the challenge set before me, I came across, after many years, “The Letter to Diognetus.” This wonderful document articulates, on an adult level, the message of God’s miraculous and world changing power in and through His gathered people – the Church. The letter was written sometime in the second or early third century. Cyril Richardson characterizes the contents of the letter in his introduction to it. “The bulk of the Epistle (chs. 1 to 10) constitutes an apology for Christianity, based on the unique part played by Christians in society. This argument is set in the context of a “theology of history,” which emphasizes the divine initiative as decisive for history, and contrasts Christianity as a supernatural factor in human relationships with the man-made religion of Gentiles and Jews alike. The attack on non-Christian religions is sometimes unfair and superficial, and must have had a very mixed effect on pagan readers, but the description of Christian life in the world comes to us across eighteen centuries with an astounding force and fragrance. To this moving statement someone possessed of a remarkable sense of fitness has added the passage from Hippolytus (chs. 11; 12), with its announcement of God’s gifts of grace and truth in Christ’s Church, where at this very moment Christians can renew their life at that divine source from which its unique power flows. This vivid symbolic expression of the supernatural character of Christian life points up the fundamental theological theme of the body of the Epistle, which is concerned to present Christianity as a supernatural mystery. The writer deals with the first of Diognetus’ supposed questions by affirming that the God whom Christians worship, to the contempt of all so-called gods, is the transcendent Lord of all things, who in his “Child” has revealed himself to men, destroying the divinities of human imagination. He goes on to argue that the nature of Christian life is itself a primary piece of evidence for the intrinsically supernatural basis of the Christian religion. Christians are different and mysterious, because they live by a superhuman power. The reader should note the numerous references to Christianity as a “mystery,” and the realistic doctrine of sanctifying grace with which this emphasis is allied, as again and again the Christian doctrine of God and the glowing portrayal of Christian life are brought together. To sum it all up in one word, what the soul is in the body, that is what Christians are in the world. The soul is dispersed through all the parts of the body, and Christians are scattered through all the cities of the world. The soul lives in the body, yet is not of the body; Christians live in the world, yet are not of the world. The invisible soul is guarded by the visible body. So Christians are known to be in the world, but their godliness remains invisible. The flesh hates the soul and wars against it, even though it is not harmed, because it is prevented from enjoying pleasures. In the same way, the world hates the Christians, though not wounded in any way, because they renounce pleasures. The soul loves the flesh that hates it, as well as its parts. Christians, in the same way, love those that hate them. The soul is imprisoned in the body, yet preserves that very body. Christians are confined in the world as in a prison, and yet they are the preservers of the world. The immortal soul dwells in a mortal tabernacle, and Christians live as travelers in perishable bodies, looking for an imperishable home in the heavens. The soul becomes better when it is poorly provided with food and drink. Similarly, the Christians, although subjected to punishment on a daily basis, keep increasing in number. God has assigned them this illustrious position, and it is unlawful for them to forsake it because—as I said—this was no mere earthly fabrication which was delivered to them. Nor is it a merely human system of opinion that they judge it right to preserve so carefully. 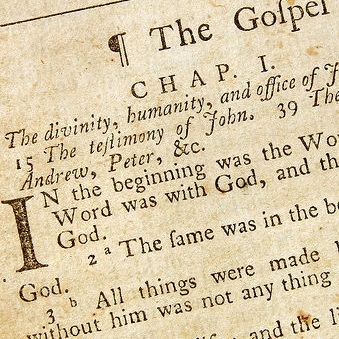 It is not an endowment of merely human mysteries that has been commetted to them, but truly God himself, who is omnipotent, the Creator of everything, and invisible, has sent the Truth from heaven – the holy and unfathomable Word – placed him among men and firmly established him in their hearts. He did not, as one might have imagined, send men any servant, angel, ruler, or any of those who influence earthly things, or one of those to whom the government of heavenly things has been entrusted. Instead, he sent the very Creator and Fashioner of all things, the One by whom he made the heavens, by whom he enclosed the seas within its set boundaries, whose ordinances the stars faithfully observe, by whom the sun is told the distance of his daily course to run, whom the moon obeys, being commanded to shine in the night, and whom the stars also obey, following the moon on her route. He has arranged everything, placing everything within its proper limits. Everything is subject to him—the heavens and the things in it; the earth and the things in it; the sea and the things in it; fire, air, and the abyss; things in the heights, in the depths, and which lie in between. This is the One he sent to them! Was it, then, as one might guess, for the purpose of tyranny or of inspiring fear and terror? Never! It was mercy and meekness. As a king sends his son, who is also a king, so he sent him. As God he sent him. To men he sent him. As a Savior he sent him, and as an attempt to persuade and not compel us. For violence has no place in the character of God. As calling us he sent him, not as One pursuing us in vengeance. As loving us he sent him, not as judging us. In the future he will send him to judge us, and who shall endure his arrival? Don’t you see them exposed to wild beasts for the purpose of persuading them to deny the Lord, yet they are not overcome? Don’t you see that the more of them that are punished, the greater the number of the rest becomes? God Bless you with the grace to be used for the powerful work of God as proclaimed in this letter. Notice that the Psalmist is not making a request. He is, rather, making a proclamation energized by trust in and the experience of God’s faithfulness. I would conclude that in the Hebrew experiential context the experience upon which the Psalmist is drawing is not only his own personal experience but the experience of the whole covenant community of which he is a part. The experience of God’s faithfulness in the lives of his covenant brothers and sisters, fathers and mothers is HIS experience. The Psalm can, as a result of this fact, become an effective petition. This is the question ! ! 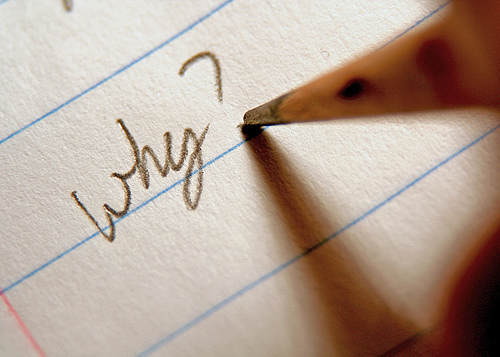 ALL people, sooner or later, will be placed by God in a position where they MUST ask and answer this question. Life offers us countless opportunities to press into it, find the truth, and be changed. “What think ye of Jesus?” What are His intentions regarding you? What does He have to do with you – right now, today? We can, quite easily, as disciples, fall into the trap of interpreting the specific means the Lord is using to save us as His desire to torment and condemn us. This is tragically too often what we do. It affects, for example, the way we understand prayer. What are we praying for? A particular outcome or insight into the Lord’s will – His way of saving us – and a desire to actively live in agreement with His will to save us?! This calls for the kind of courage that only comes by the grace of the Holy Spirit. But, the grace can be ours. All we need do is truly and unreservedly and desperately ask and receive. As long as our life is still manageable without the grace we will not receive because we are not really asking (we haven’t hit bottom – see the 12 Steps). We are, instead, bargaining. And bargaining will never do. Others have wisely said that the Christian life is so often about “grace for today” and “one day at a time.” Truly, God’s way of salvation in our life is Mysterious and requires our utmost trust on a daily basis. We, ironically enough, need to give some credit to the townspeople. They were honest enough to ask the question and they were willing to embrace the answer, negative and tragic though it was. Let us be like the townspeople in their honesty. Let us not be like them in their misunderstanding of the Lord’s intention. Let us not be like the townspeople, clinging to our need to live life in relationship with God “on our terms.” Let us let God break in to our lives even more radically and deeply to tell us that “what He has to do with us” is salvation in all facets – body and soul. Let us repent – let go – of our judgment of the particular form that Lord’s saving of us is taking; our temptation to beg Him to deal with us in some other way than He is choosing that is really an avoidance of salvation not an embrace of it; let us say personally and together with one voice, “Abide with us forever and deal with us according to Your will.” Let us cling not only to the Lord but to one another as we seek the courage to live this “Way” which is Life. In my last post I offered the biblical figure of Job as an example of attentiveness and responsiveness to God’s presence and work or “sacred study.” To be a grace-filled participant in one’s own salvation. 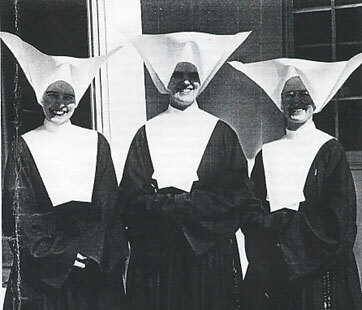 In this post I would like to offer another practical example: St. Vincent de Paul and the Daughters of Charity. In 1633 a French peasant priest, Vincent de Paul, and an wealthy widow, Louise de Marillac, established the Daughters of Charity in response to the desperate needs of the poor in seventeenth century France. “My daughters, if only you knew the delight God takes in seeing a poor village girl, a poor [religious] Daughter of Charity speak to him lovingly, oh!, you would walk with even greater confidence than I could advise you. If you knew how much science you would draw from it, how much love and sweetness you would find in it! There you would find it all, dear daughters, because it is the fountain and spring of all knowledge. What Does Attentiveness and Sacred Study Look Like in Real Life? In my last two posts, “… let us be attentive” and “Sacred Study – Journey into the Truth” I attempted to portray one aspect of the Spirit-filled and directed Way which is the very life of the reigning Christ Jesus within us and in our midst as the Church and individual believers. My emphasis was on the role of attentiveness, remembrance, and openness to and commitment to addressing the transformative questions the Holy Spirit brings before us. One might ask, “What does that look like in real life?” A fair question… Today, in the assigned readings from “The Two Year Lectionary Patristic Vigil Readings,” St. Gregory the Great addresses this very question. He gives the example of Job. Job was faithfully attentive; had a spirit of remembrance; and was open to honestly addressing the probing questions put before him by the Holy Spirit in the midst of extremely difficult circumstances. “When Job lost everything, at Almighty’s God decree, to pre­serve his peace of mind he remembered the time when he did not yet possess the things he had now lost; in that way, by realising more and more clearly that once he had not had them, he would the more easily moderate his grief over their loss. For indeed whenever we lose something it can be a great consolation to call to mind the days when we did not have it. So, then, the blessed Job, wishing to cultivate patience as he bewails his losses, carefully considers to what state he is now reduced. To enhance his peace of mind he ponders yet more closely his origins, saying as he does so: Naked I came from my mother’s womb, naked I shall return whence I came. In other words, the earth produced me naked, and naked will receive me back when I leave it. Since therefore the things I have lost were only what I had received and must leave behind, what have I lost that really belonged to me? But then, because consolation derives not only from thinking about one’s condition but also about the Crea­tor’s uprightness, he is right to add: The Lord has given, the Lord has taken away; as it has pleased the Lord, so has he wrought. He well says, as it has pleased the Lord. For since in this world we have to put up with things we do not like, it is necessary that we should accommodate our best endeavours to him who cannot will anything that is unjust. If therefore we know that what is just and equitable pleases the Lord, and that we can suffer nothing but what is pleasing to him, then all our sufferings must for that reason be justly and fairly imposed: and it would therefore be very unjust of us to grumble at them. We should note that, having got all that right, Job ends by praising God. This was so that his adversary might realise, over­come by shame at seeing Job’s plight, that his own attitude in his prosperity is one of contempt for God, the same God to whom even this man, now fallen on evil times, can never­theless sing a hymn of praise. We should realise that the enemy of our race can smite us with as many of his darts as there are temptations for him to afflict us with. For we do battle daily; and daily his onslaught of temptations rains down on us. But we in turn can fire our darts against him if, while buried in our tribulations, we will but react in humility. Thus Job, although suffering in material things, is still a blessed and happy man. Job was attentive to the Lord’s presence and work in the midst of his circumstances, difficult and seemingly void of the Lord’s presence and provision. He was open to the Holy Spirit’s challenge to ask salvific questions in the midst of the very same circumstances and “go the distance” in faithful obedience to what the Lord revealed to him. Several days ago, while surfing the blogs I usually follow, I found a post, I believe, the Holy Spirit used to prompt me to revisit two crucial questions. It stopped me. Have my answers to these two questions always agreed? If not, did I address it or just ignore it or rationalize it away? Did I reinforce by illusions to the point where I no longer remembered that they were not true? In other words, was and is God’s vision of “salvation” and mine the same? Am I seeking what He desires to give?! First, God’s desire and design for relationship summed up and once for all articulated in the incarnation of the Son of God. Matthew 9.9-13  As Jesus passed on from there, he saw a man called Matthew sitting at the tax office; and he said to him, “Follow me.” And he rose and followed him. Matthew 20.25-28  But Jesus called them to him and said, “You know that the rulers of the Gentiles lord it over them, and their great men exercise authority over them. Mark 1.32-39  That evening, at sundown, they brought to him all who were sick or possessed with demons. And he healed many who were sick with various diseases, and cast out many demons; and he would not permit the demons to speak, because they knew him. Luke 12.49-53  “I came to cast fire upon the earth; and would that it were already kindled! John 3.16-17  For God so loved the world that he gave his only Son, that whoever believes in him should not perish but have eternal life. John 10.8-10-16  All who came before me are thieves and robbers; but the sheep did not heed them. I am the door; if any one enters by me, he will be saved, and will go in and out and find pasture. Jesus answered them, “Do not murmur among yourselves. It is written in the prophets, `And they shall all be taught by God.’ Every one who has heard and learned from the Father comes to me. Matthew 11.27-30  All things have been delivered to me by my Father; and no one knows the Son except the Father, and no one knows the Father except the Son and any one to whom the Son chooses to reveal him. When you read the passages above you took them into yourself through some sort of entry way. You understood them based on your life – experiences, preconceptions, needs, desires, etc. These filters make a difference. There is a difference, for example, between what we mainly understand in the head, which may not result in LIFE; and what we understand from the heart and a union with the LIFE-giving Holy Spirit. Making the distinction between the two is of vital importance. It is, a matter of “life and death” in just about every sense of the phrase. This distinction, as I mentioned earlier, is not one we make once. We need to visit the distinction regularly to confirm that we are hearing the voice of the Holy Spirit regarding God’s will and our truest need. Engaging in an exploration of the current state of our relationship with the Lord using these passages and questions (among others) is a vital aspect of growing into the likeness of Christ. Here is a portion of an address given on Saturday, 21st May, 2011 by His Grace Bishop Iakovos of Miletoupolis, at the 27th graduation ceremony of the Sydney College of Divinity. “…in the words of St. Silouan the Athonite, ‘it is one thing to speak of God; it is quite another to know God’. And I always remember with fondness my first lecture in Introduction to Theology when myProfessor and Dean Archbishop Stylianos said that theology was not ‘merely intellectualism but actually ‘eating’ and ‘drinking’ from the table of Life of the humble who seek the Lord.’ This for me, at first, was an enigma, but also a revelation, which required nothing less than a revolution. The “sacred study” of which Bishop Iakovos speaks is not limited to those who pursue a seminary education or who are ordained or who embrace the monastic life. “Sacred study” is the responsibility of each and every baptized Christian. When we made our profession of faith at the waters of baptism we were, in essence, saying that we would engage in this kind of “sacred study.” Not the kind of study that is just more information about God, but the practical knowledge of God – a knowledge we seek to integrate more and more into our everyday life. This knowledge of God actually BECOMES our life!! The questions, “Why did the Son of God become man?”; “Why did I come to Christ Jesus?”; “Why did I become a Christian?” are an ongoing part of “sacred study.” It must be noted that the Holy Tradition is very specific about “sacred study” being the pervue of the gathered Church. We are exhorted to NOT engage in this exploration in isolation. The life of the healthy disciple is life in community – life together as Bonhoeffer termed it – a context of accountability and encouragement. There are several ways to engage in this regular inquiry: an annual contemplative retreat in which this is the intentionality (such as the Spiritual Exercises of St. Ignatius); regular spiritual direction; regular self-examination with confession and the reception of the Holy Mysteries; active ministry which so often reveal to us like nothing else, our true intentions and understandings; and the use of other ancient instrumentations such as the Jesus Prayer under the guidance of an experienced mentor. God Bless you in this journey of discernment and reaffirmation of your baptismal vows. I pray that what you come to realize regarding the meaning of salvation through addressing these questions will not become just more “information” but a “transformative” encounter with the reigning Christ Jesus and a lived reality for you. Three times, in the course of the Divine Liturgy of St. John Chrysostom, worshippers are given this exhortation. First, just before the reading of the Gospel. Second, at the beginning of the Anaphora (the Great Thanksgiving). And third, after communion before the post-communion thanksgiving. 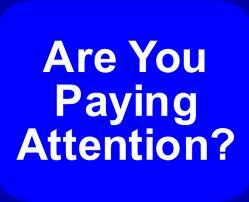 It is a call away from distraction to single-minded-hearted attention. It is a call out of slumber and sleep of distraction and illusion into the truth of alertness. In other words, “Wake the heck up and pay attention! !” It is a call to remembrance. Paradoxically, this call to remembrance is not a call to retreat into the past or into the future, but into the present. It is the call to be as fully present as possible to God who is fully present to us. One of the fruits of sin is forgetfulness or distraction. Indeed, the concept of “remembrance” is one of the cardinal themes of the Holy Scriptures. The Passover meal is the great feast of remembrance. Forgetting God in the course of our everyday life – the mundane things – is not trivial. It is not just a personal foible. It is one of the most effective tools of the devil, the flesh, and the world. Forgetfulness of God has, according to Solzhenitsyn, changed the course of nations and, therefore, of the history of the world! 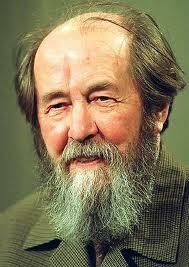 To the voice of this 20th century Russian prophet, if I can call him that, let me add two more voices. First, St. Theophan the Recluse, the great 19th century Russian elder. He reminds us that prayer is, in essence, being attentive to God. 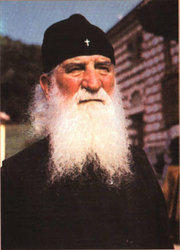 Second, St. Justin Popovich, 20th century theologian, writer, and critic of the church’s life. He reminds us of the struggle that attentiveness requires. “It is by the ascesis of faith that the treatment and cure of a soul which is sick with the passions is begun. Once faith begins to live in a man, the passions begin to be uprooted from his soul. But ‘until the soul becomes intoxicated with faith in God, until it comes to feel faith’s power,’ it can neither be healed of the passions nor overcome the material world. There is both a negative side to the ascesis of faith, freedom from sinful matter, and a positive side, oneness with God. The soul, which was dispersed by the senses among the things of this world, is brought back to itself by the ascesis of faith, by fasting from material things and by devoting itself to a constant remembrance of God. This is the foundation of all good things. Freedom from enslavement to sinful matter is essential for advancement in the spiritual life. The beginning of this new way of life is found in the concentration of one’s thoughts on God, in incessant pondering on the words of God, and in a life of poverty. In the ascesis of faith, man is asked to act according to a paradox that denies understanding: ‘Be dead in your life, and you will live after death.’ By faith the mind is healed and acquires wisdom. The soul becomes wise when it stops ‘consorting shamelessly with promiscuous thoughts.’ ‘Love of the body is a sign of unbelief.’ Faith frees the intellect from the categories of the senses and sobers it by means of fasting, by pondering on God, and by vigils. Intemperance and a full stomach cloud the mind, distract it, and disperse it among fantasies and passions. The knowledge of God cannot be found in a body that loves pleasure. It is from the seed of fasting that the blade of a healthy understanding grows–and it is from satiety that debauchery comes, and impurity from excess. The thoughts and desires of the flesh are like a restless flame in a man, and the way to healing is to plunge the intellect into the ocean of the mysteries of Holy Scripture. Unless it is freed from earthly possessions, the soul cannot be freed from disturbing thoughts, nor feel peace of mind without dying to the senses. The passions darken the thoughts and blind the mind. Troubled, chaotic thoughts arise from an abuse of the stomach. Shame and the fear of God steady the tumult of the mind; the lack of this shame and this fear disturb the balance of the understanding, making it fickle and unstable. The mind is only on a firm foundation if it keeps the Lord’s commandments and is ready to endure suffering and affliction. It is enslaved by the things of life, it is darkened. Collecting himself through faith, a man awakens his intellect towards God, and by prayerful silence cleanses his mind and overcomes the passions. The soul is restored to health by silence. It is therefore necessary to train oneself to silence–and this is a labor that brings sweetness to the heart. It is through silence that a man reaches peace from unwarranted thoughts. Faith brings peace to the intellect and, in bringing it, uproots rebellious thoughts. Sin is the source of restlessness and strife in the thoughts and is also the source of man’s struggle against heaven and with other men. “Be at peace with yourself, and you will bring peace to heaven and to earth.” Until faith appears, the intellect is dispersed among the things of this world; it is by faith that this fragmentation of the intellect is overcome. The wandering of the thoughts is provoked by the demon of harlotry, as is the wandering of the eyes by the spirit of uncleanness. By faith the intellect is confirmed in pondering God. The way of salvation is that of the constant remembrance of God. The intellect separated from remembrance of God is like a fish out of water. The freedom of a true man consists in his freedom from the passions, in his resurrection with Christ, and in a joyous soul. The ascesis that salvation requires is the struggle (warfare) to live “in the present” and “in The Presence,” and to “be present.” To be attentive and awake is to become open, receptive, and responsive to God, others, and the world around us. In essence, it is to live “in spirit and in truth”; to obey the command of our Savior to do what can only be done if we are all of these – to love. There is no end to the nourishment we can receive from the Scriptures. This nourishment is, to be sure, for the mind (informational, intellectually integrative, and profound). But, it is also nourishment for the heart (Mysterious, alive, filled with personal consolation and challenge). “Lord, who can grasp all the wealth of just one of your words? What we understand is much less than what we ­leave behind, like thirsty people who drink from a fountain. For your word, Lord, has many shades of meaning just as those who study it have many different points of view. The Lord has coloured his words with many hues so that each person who studies it can see in it what he loves. He has hidden many treasures in his word so that each of us is enriched as we meditate on it. The word of God is a tree of life that from all its parts offers you fruits that are blessed. It is like that rock opened in the desert that from all its parts gave forth a spiritual drink. As the Apostle says, All ate the same supernatural food and all drank the same supernatural drink. He who comes into contact with some share of its ­treasure should not think that the only thing contained in the word is what he himself has found. He should realise that he has only been able to find that one thing from among many others. Nor, because only that one part has become his, should he say that the word is void and empty and look down on it; but because he could not exhaust it he should give thanks for its riches. Be glad that you were overcome and do not be sad that it over­came you. The thirsty man rejoices when he drinks and he is not downcast because he cannot empty the fountain. Rather let the fountain quench your thirst than have your thirst quench the fountain. Because if your thirst is ­quenched and the fountain is not exhausted you can drink from it again whenever you are thirsty. But if when your thirst is quenched the fountain also is dried up your victory will bode evil for you.